Vogel Home Improvement is proud to be an owner operated Anchorage remodeling company helping local families realize their dreams. Vogel Home Improvement is owned and operated soley by me, Bob Vogel, and I am one of the most experienced and qualified remodeling contractors in Anchorage. You can rest assured my knowledge, skill, and experience in home remodeling in the local area is unsurpassed. I can help you with any sized project. 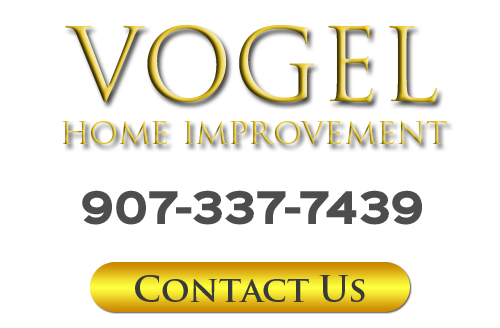 Vogel Home Improvement specializes in kitchen remodeling, bathroom remodeling, deck and porch construction, window and door installations, and more. In every home remodeling task, I am the remodeling contractor locals can rely on to strive to provide the most customized and highest quality services possible. I am passionate about remodeling. I take my clients’ needs for quality personally. I treat each and every home I work in as if it were my own in regard to conscientious attention to job quality, cleanliness, job-site tidiness, and the need for privacy. There is no doubt that having your home remodeled by someone you don’t know can be a risky and traumatic experience. This is why absolute honesty and communication is of paramount importance to Vogel Home Improvement - especially in regard to making clients aware of the time it will take to accomplish a project as well as details involved, keeping track of material costs, and final billing. This starts with the initial proposal which consists of a breakdown of estimated material costs separated from labor charge for the project so you know what you will be paying at the end of the project. This ideal has been so successful, the vast majority of my clientele have come from referral. Call Vogel Home Improvement today if you are planning a remodeling project for your Anchorage home. I would be happy to take your call and to assist you in any way that I can. As your preferred remodeling contractor, I would be glad to answer any questions that you may have about my skills and services. I would be excited to schedule your consultation and appointment today. Affordable, detail-attentive craftsmanship is only a phone call away. I was born and raised in Montana, growing up in the Bitterroot Valley. I married my high school sweetheart, Beverly, there and we have been together for 41 years now, having raised two children, a boy and a girl, now grown. 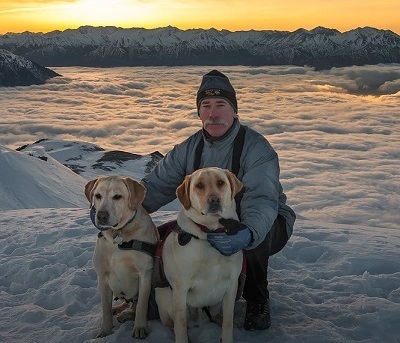 I joined the Air Force in 1975, and was stationed in Anchorage, Alaska with my family in 1988, where I retired in 1996 at the rank of Master Sergeant. I have enjoyed remodeling homes since my late teens when I first helped my father build a house. Since then I have installed and remodeled bathrooms, kitchens, built decks for friends, coworkers, and my own family in my off-time. I found I was so passionate about this type of work that I decided to do it full time as a licensed contractor after retiring from the Air Force 21 years ago, working the entire time for homeowners in Anchorage and Eagle River. Altogether I have over 40 years of experience in the field of home remodeling and renovation. 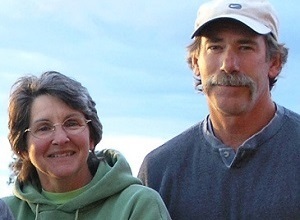 If you would like to know more about your Anchorage remodeling contractor, Bob Vogel, please call 907-337-7439 or complete my online request form.